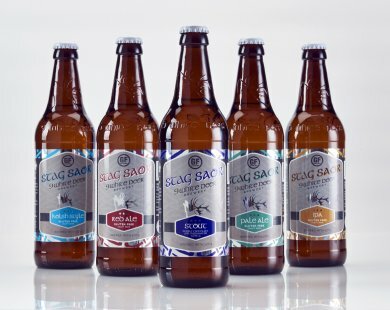 UK’s glass packaging manufacturer Beatson Clark has designed new beer bottles for Ireland-based 9 White Deer brewery’s range. Beatson Clark has provided its 500ml standard amber beer bottle for Irish brewery’s own contract bottling line, and an embossed standard beer bottle for its own range of beers. The customised version of the bottle features white stag logo embossed on the neck, while the words 9 White Deer embossed around the shoulder. Irish brewery produces six different beers, including pale ales and triple-hopped black IPA. It is also planning to launch a new range of gluten free beers. The new gluten-free beers include Stag Saor, German-style Kölsch, Irish red ale, India Pale Ale and double chocolate stout, which will be available in Beatson Clark’s bottles. The 9 White Deer brewery owner Gordon Lucey said: “When we started out we were using another bottle manufacturer but we missed that close attention to clients’ needs that we’ve since found with Beatson Clark. Image: Beatson Clark has designed new beer bottles for Irish brewery. Photo: courtesy of Beatson Clark.